Helen Pooley is the Primary Education Officer at the Museum of the History of Science. In this guest post she discusses the exciting new cross-museums project Curious Curators. 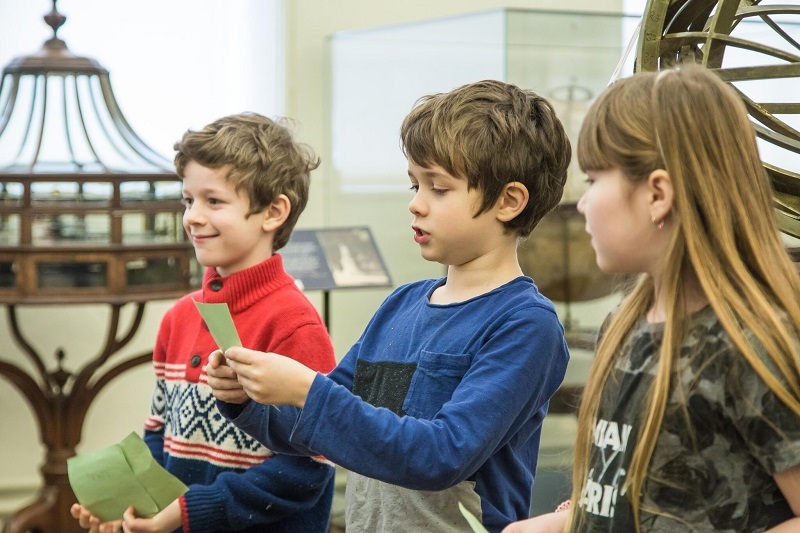 The Museum of the History of Science might seem an obvious place for primary school classes to find out more about topics linked to history and science. It’s perhaps a less obvious place to do a workshop on literacy skills. This year, however, I’ve been involved in a project with two local schools which does just that. Curious Curators is a project funded by the Oxford University Museum Partnership’s Innovation fund. 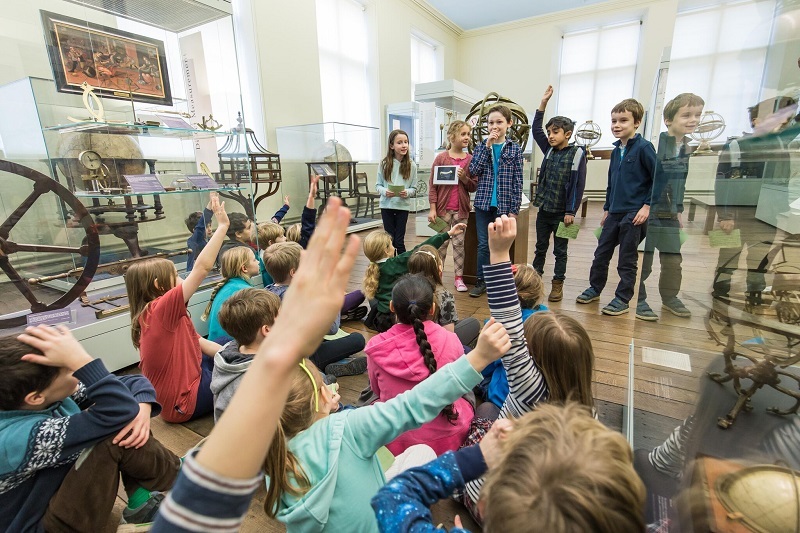 I have been working with education officers at the three other University of Oxford Museums (the Ashmolean Museum, the Museum of Natural History and the Pitt Rivers Museum) to develop sessions which use museum objects and paintings to build children’s enquiry, research and presentation skills. 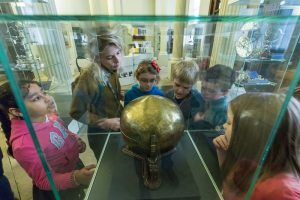 Pupils examine the Museum’s Earth Ball. Over 120 children from Cutteslowe Primary and West Oxford Primary came to the Museum in their classes for two workshops per class. In their first session, children found out about some of the different roles people have in a museum. They also learnt about how to interact with objects in a Museum setting and were given their own object to research back at school in small groups. Objects included a nineteenth century medicine chest, an Indian earth ball (inv. 51703), a ‘mermaid’s hand’ (manatee bone, inv. 32726) and a moon globe (inv. 52085). For their second session, the students came back to the Museum to present their research to their classmates and teachers, and museum staff. Even with such a big audience the children were full of confidence when presenting in groups. Many felt they had leant important lessons about team-work. One student told us that they “learnt that people can express themselves and work together” and that ‘even if you’re not with your friends and think it’s going to go wrong it turns out good!’. The audience also enjoyed quizzing our curators, Stephen and Sophie, with one piece of feedback saying “I liked asking questions!”. Many of the children have said they were inspired to come back with their families. We also had some great feedback from the teachers involved. Tessa Palfreyman, a Year 4 Teacher from West Oxford Primary School said we “based our English work around the project and covered all of our speaking and listening objectives through the group work and presenting. It was fantastic seeing the children present to a group of adults so confidently about something they knew nothing about previously”. For the education officers, it was a wonderful opportunity for us to collaborate across all four museums. It was also a good way of establishing new links, and strengthening existing ones, with schools. The project has allowed us to invest in resources for school sessions. Building on the success of Curious Curators, I have now planned a new cross-curricular, literacy based Primary session which will be ready to launch next September. 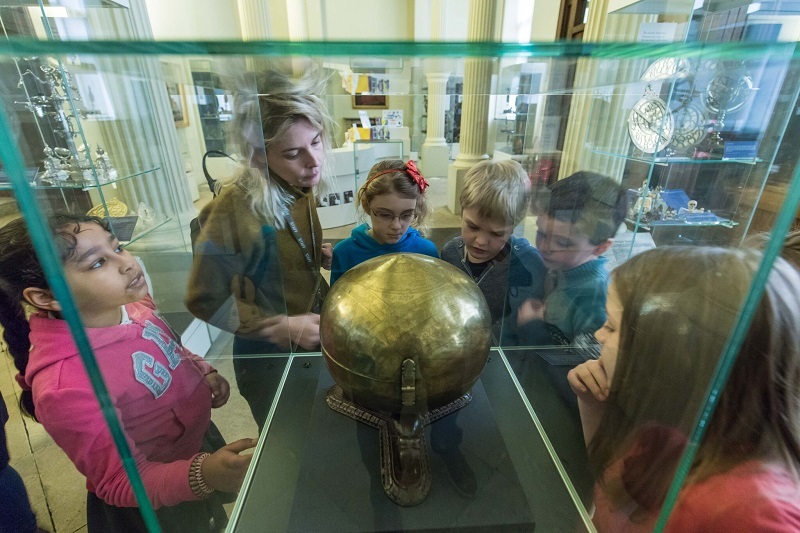 Hopefully we have inspired a new generation of curators! 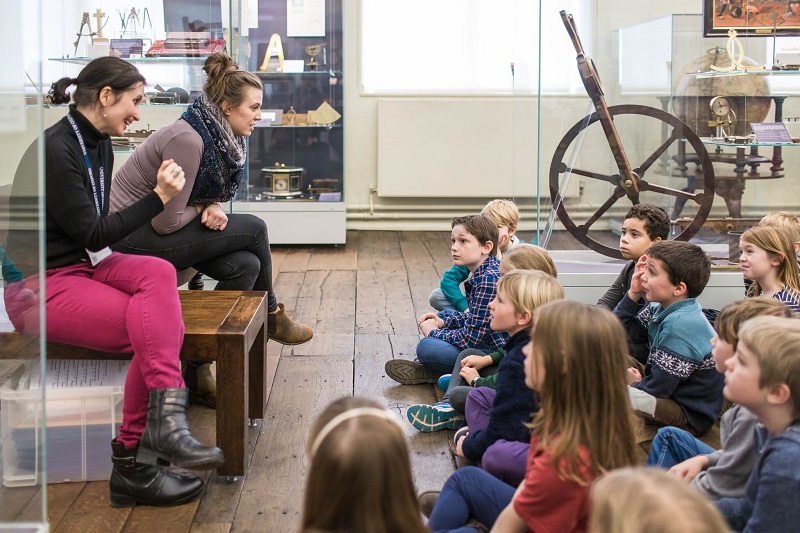 Pupils quiz the Museum’s Curator Sophie Waring and Primary Education Officer Helen Pooley. Visit the Museum’s main website at www.hsm.ox.ac.uk to see details about visiting, the online collections catalogue, our current exhibitions, and upcoming events. Visit www.hsm.ox.ac.uk/newsletter to sign up to our newsletter. The newsletter will keep you up-to-date with our events, special exhibitions, general news, and opportunities to get involved in our work. Copyright © 2019 Inside HSM Oxford.